Get to Know Hashtag Zoe | YAYOMG! Meet Hashtag Zoe! 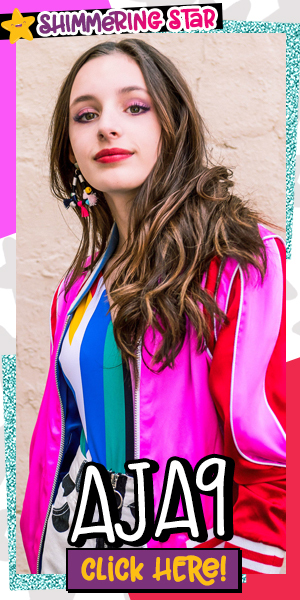 Zoe is a 16-year-old teen who makes hilariously relatable videos on YouTube and has blown up on Instagram and PopJam as well! Zoe began her entertainment career as a child actor; however, when she was 12 years old and going to endless auditions without too many bookings, she decided to take matters into her own hands and posted her very first video. 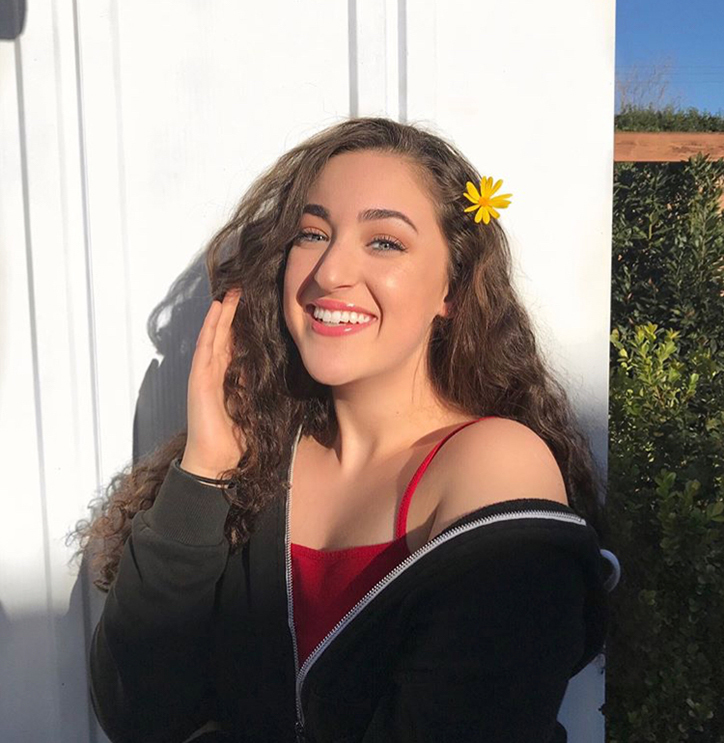 Since then, she posts videos on YouTube every week, can be found posting daily on PopJam and posting and live streaming on Instagram often Be sure to follow her, she’s @HashtagZoe on all channels! We recently sat down with Zoe and asked this 16-year-old, sixteen ‘get-to-know-you’ questions. ZOE: In My Feelings – Drake. Also, who the heck is Kiki? LOL! ZOE: Wait…can I pick more than one? Because the truth is, my favorite girl bosses are all of those who paved the way for me to do what I love. 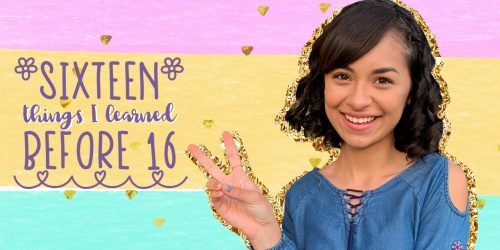 Liza Koshy, Colleen Ballinger (Miranda Sings), Lilly Singh, Adeline Morin, Rachel Levin, Alisha Marie….OMG and so many others. 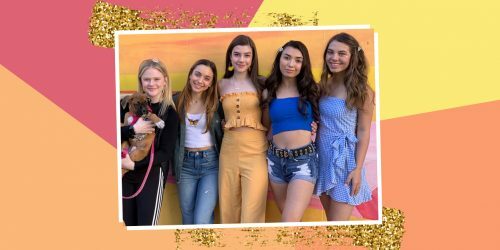 They are the original queens who shaped the online world that allows girls like me to make silly videos and content online and maybe make a living doing what I love! ZOE: I love salad…don’t laugh….like actually, it makes me so happy to have an amazing salad….ooh, with mashed potatoes on the side. THAT is a perfect meal! ZOE: The beach, during sunset. ZOE: I’ve definitely had my fair share of friend drama. But I’ve learned that friend drama happens when your confidence fades. It also happens when you surround yourself with friends who don’t have your best interest at heart. ZOE: Short answer: I love to make videos that make people happy! Longer answer: When I crack myself up during filming, I’m pretty sure it’s going to be a good video! I love making videos where I can morph into a different character and make it look like I’m having a conversation with myself as Zoe! Also, if I can make a difference and help someone out through my videos, it’s a win-win. The video above includes both! ZOE: Mascara. I can wake up, throw some mascara on and always look at least half awake…which is always the goal when going to school! Longer answer: YouTube, Instagram, Snapchat, PopJam, BatteryPop, and my period tracker, because a girl needs to know when and where! ZOE: Does lunch count? No? Hmmm…Ok, then History. I think it’s totally awesome to see what so many others did to make life the way it is for us today. It’s also kind of cool to think that my great grandchildren will see the things that are happening today in their history books in the future. ZOE: Well, if I’m going to school, 5 minutes (see makeup question above). But if I’m filming a video or going somewhere, then 20-30 minutes max! I love doing my makeup! ZOE: Definitely dog. My dog Malibu is the most awkward dog in the world! But he’s so cute and I love him! ZOE: Honestly, if Instagram had the awesome filters that Snapchat has, Instagram would be my one and only! Instagram is where I am most of the time, but I do love Snapchat too! ZOE: Short Term – To meet and film with James Charles and the Dolan Twins! Long Term – My short term goal, plus continue to work hard on my content, make content I’m proud of that might even change someones day and to make sure I’m present for every moment and remain grateful for it all. Now that you’re a Hashtag Zoe expert, we think you’ll love getting to know the D’ambrosio Twins!